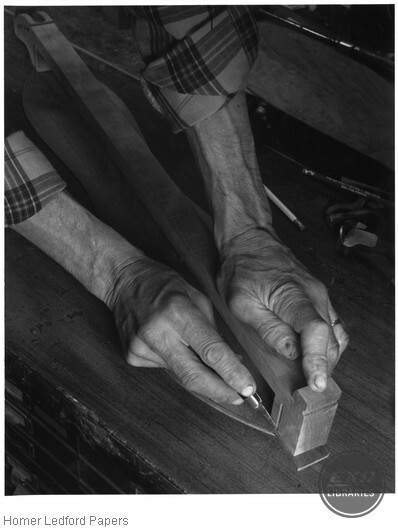 Homer Ledford attaching the finger board to a dulcimer. 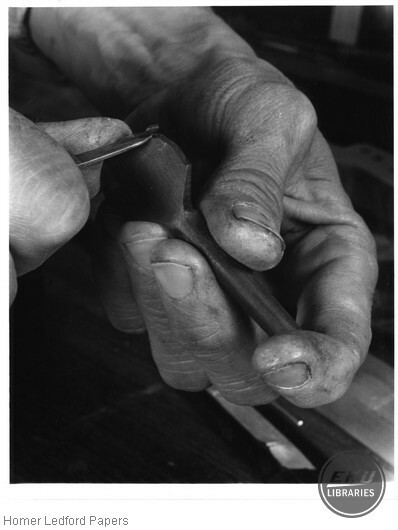 Homer Ledford carving scalloped peg head. 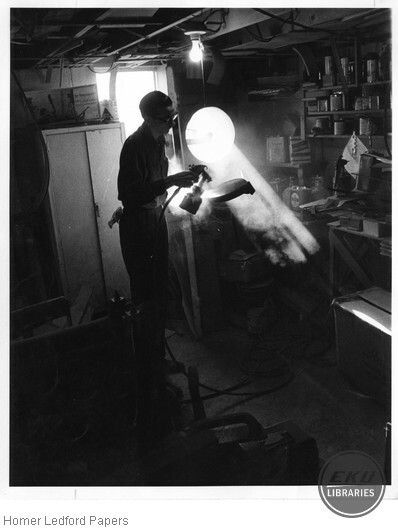 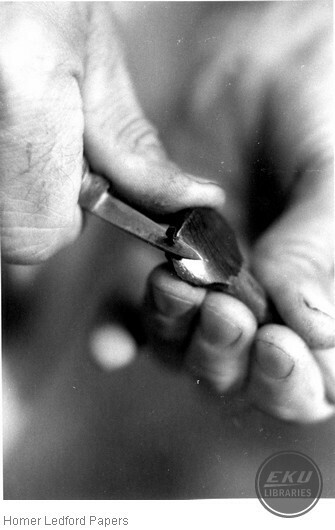 Homer Ledford punching holes for staple-type frets. 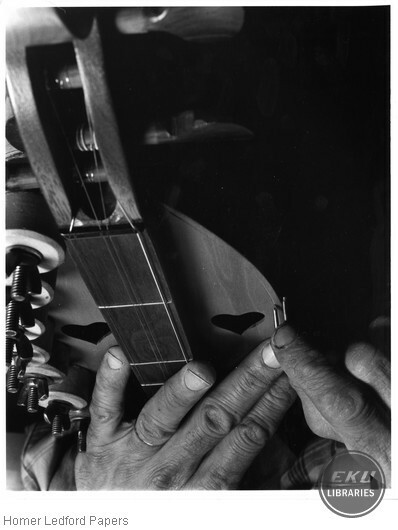 Homer Ledford using Lucite scale to mark fret, nut, and bridge positions.